Alliance of WHO Collaborating Centres in Korea had a historical event on 9 September, 2015. 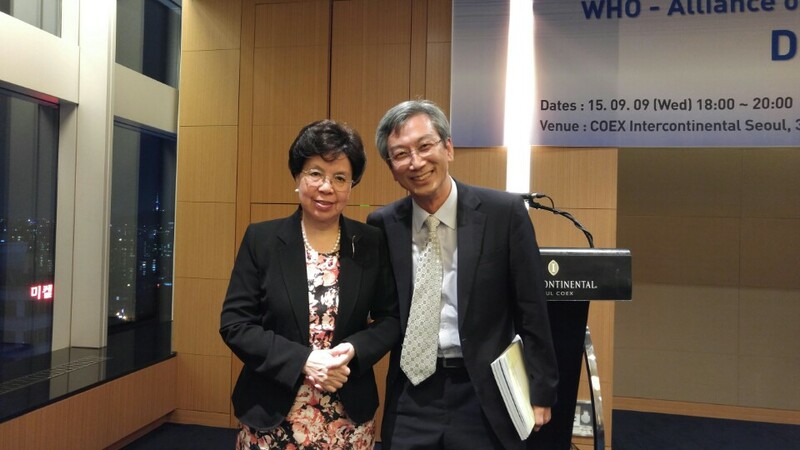 Honorable Dr. Margaret Chan, Director General of WHO, Dr Young Soo Shin, Regional Director of the office for the Western Pacific Region of WHO and key staffs of headquarter and other regional offices of WHO joined to celebrate our alliance. 세계보건기구 협력센터 한국협의회 모임이 2015년 9월 9일 있었습니다. WHO 사무총장 Margaret Chan 박사, WHO 서태평양지역 사무처장 신영수 박사 등 WHO 본부와 지역사무소 요인들께서 참석하시고 우리 모임을 축하해 주셨습니다. 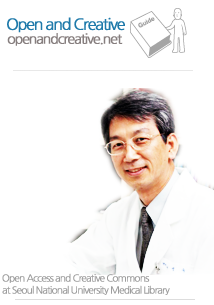 Dr. Lee Kang Hyun, the General Director of National Cancer Hospital is now the president of the Alliance. WHO CC 한국협의회 회장은 국립암센터 이강현 원장입니다. I, representing WHO CC Health Information and Library Services, could have a chance to take a picture with Dr Margaret Chan. The picture was taken by Dr Choi Kyunghee at WHO CC for Vulnerable Population and Environmental Health. Margaret Chan 박사와 저의 사진은 국립환경과학원 최경희 박사께서 찍어주셨습니다.